OUT OF STOCK� LED Cotton Candy Stick is�great for�sporting Events, Children's Traveling Stage Shows, Party Rentals and Family Entertainment Centers. It's a great addition for any place that has Birthday Parties as well. Perfect for Amusement Parks, Carnivals, Circuses, Fairs, and Concerts. This is for one LED Cotton Candy Stick ONLY. You supply the cotton candy. 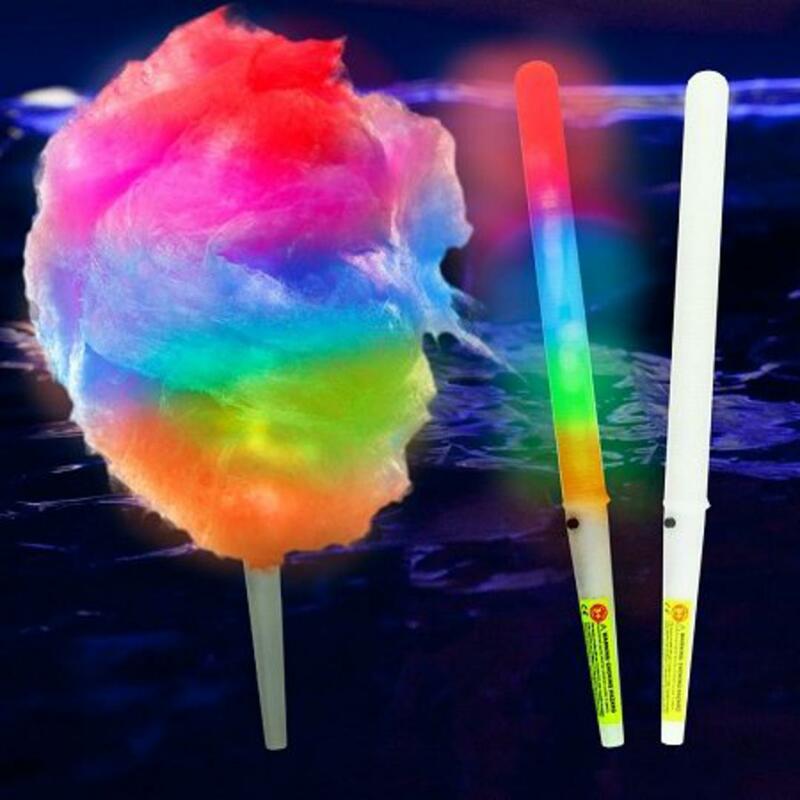 Eight Function LED Cotton Candy Stick includes batteries and a push button switch to control the function.